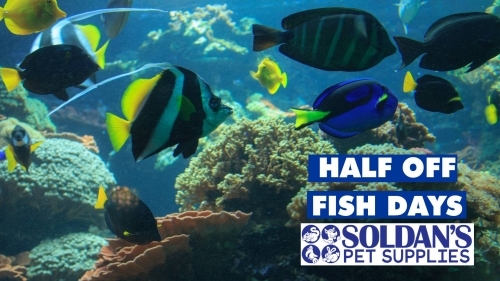 Join us at Soldan's Midland, Bay City, & Mount Pleasant for 1/2 OFF Fish Days! All live fish will be half off every Monday in February, May, August, and November! If there is anything you are looking for that we do not currently stock, please contact your local Soldan's store, and we can look into special ordering it for you! * All of our fish come with a 7 day guarantee. 1/2 off fish excludes feeder fish.